Maybe I looked in the wrong places. The advice on how to MOVE did not prepare me for the mental toughness you need to orchestrate an interstate move or more precisely how to clear a 4 bedroom house with an attic and basement full of memories! Take it? Don’t take it. Will I use my Dad’s favorite martini pitcher? 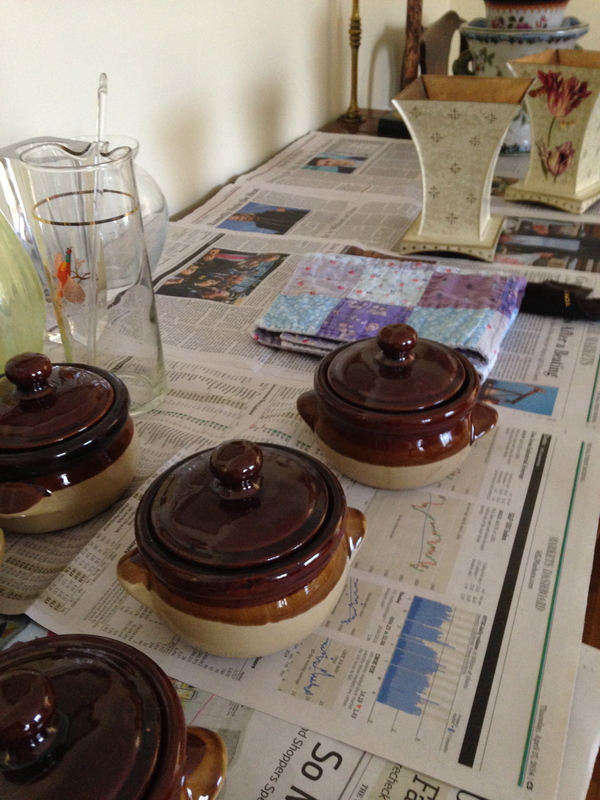 Do I take the covered soup bowls from a dear friend? What about those 80’s flower holders? It takes stamina to make those decisions all while working against an incredible time line to get it DONE! Get it wrapped, get it in a box or throw it out! Not so easy! I can’t even make a decision on what to listen to while packing, so I’ve blankly turned on a radio station that seems to have an upbeat and still relaxing beat. 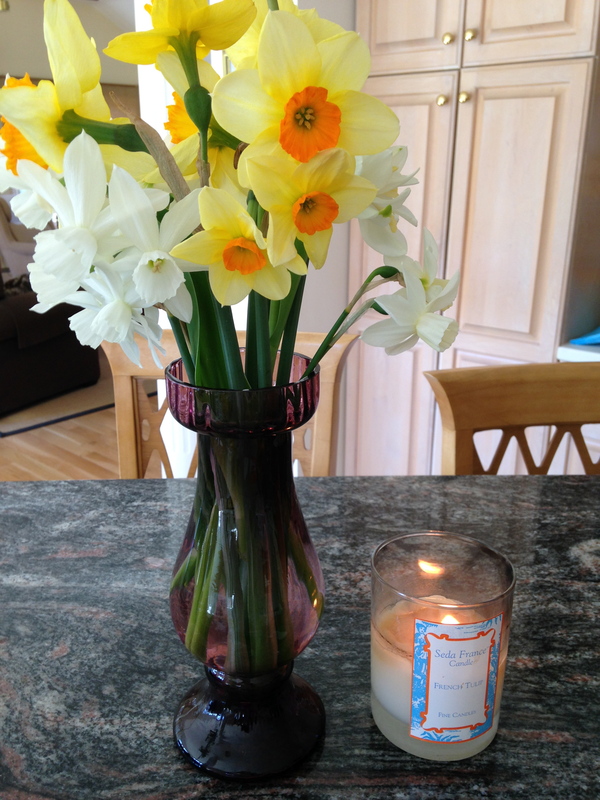 I picked some fresh daffodils this morning, and I lit a candle. That is my advice for those worn out with the packing. Keep flowers visible, listen to music, light a candle – whatever it takes to get you in YOUR ZEN zone. And just keep packing! This entry was posted in Uncategorized and tagged candles, martini pitcher, memories, moving, moving advice, packing. Bookmark the permalink. We JUST did this .. what a project. Our move is complete and now we begin our building project. It’s amazing the amount of STUFF we all accumulate. We threw so much away, gave things to good will, and sold a few items. That said, we still had so much to pack and move. Good luck with your move, a stressful time for anyone, you have the right idea with music, candle and flowers! Moving is such a hard task. But moving does allow time to reorganize. Hi Jayne, I did most of the packing for our recent re-location and I don’t envy you the process of having to go through it. We were given boxes, tape and paper by our removals firm and also bought bubble wrap. If using newspaper, mind the print can rub off and stain what is wrapped in it. I also found that music was required in order to pass the time and to simply “get through” the packing process as it can be both emotional and arduous, but at least there is a definite “end point” to reach for. Thank you for the hints! I have been packing all the boxes. I was able to get some wonderful double boxes from my daughter’s business and our local luggage store had some great ones. Some I purchased from the movers. I have gone through 5 rolls of bubble, three reams of paper and a dozen rolls of tape! 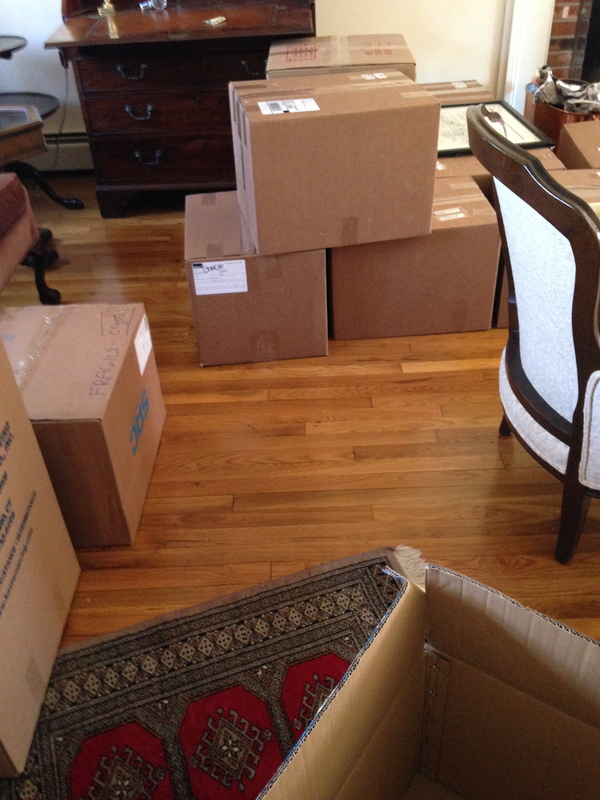 In my family I’ve done ALL the packing – I know you sympathize!